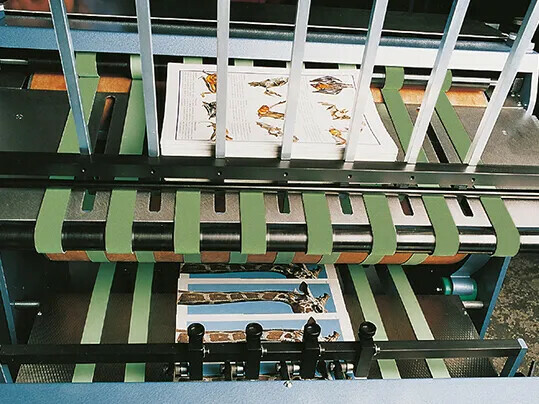 A wide range of paper and cardboard types have to be conveyed in the cross cutter through the individual sections at high speeds precisely and leaving no markings. 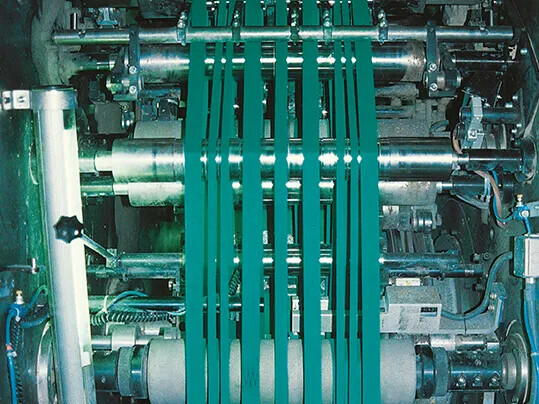 Apart from the tried and tested P-line machine tapes, E-line types are pre-destined for this type of demanding usage. Even where there are fluctuations in ambient conditions and after running for a long period they require no re-tensioning and are also suitable for very small roller diameters. The relatively low elongation at fitting minimises the shaft load. The long service life and the quick Z-splice with no accessories (no adhesives!) minimise fitting times and consequently downtimes.